I went in for a pair of winter boots, found a pair. Tried them on, then bought them. Very quick and easy. 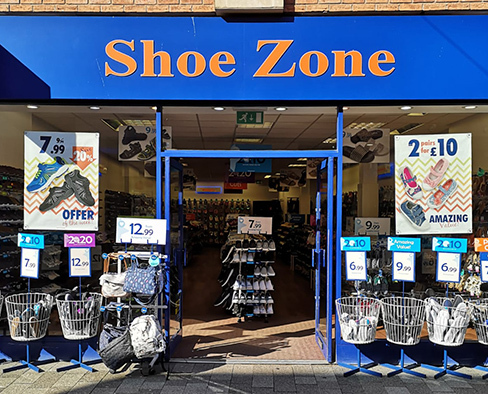 It was quite upsetting.I paid for my boots (£24.99) with a £20 note a £10 note and 4 pence for a carrier bag.I expected £5 change back.The cashier,Gail,did not give my £5 change back and claimed I gave her a £20 note and a £5 note.We disputed this for a couple of minutes then she suggested she check the money in the till with the store supervisor.The supervisor came down.The money was checked and I was owed £5.Gail insisted on checking the till again and the supervisor agreed.Again,the supervisor said I was owed £5.Gail said she wanted to check the money in the safe.The supervisor told Gail to give me my £5 ,which she did.Gail then apologised.So did the supervisor, for my lengthy wait ,while they decided that I was actually in the right.Very embarrassing and annoying experience.Customers know what they hand over to cashiers from their wallets! Regular customer over quite a number of years. Purchased the 'touch fasten' in black after getting similar in brown some time ago. I have normally had black 'lace-up' before then. My normal pattern of use is to start at 'best' then down grade in steps to 'gardening' throwing oldest away. Thanks. I would first like to say how good I thought your offer on the Jelly shoes were '2 pairs for £10' which they looked very good quality and had some lovely colours available. I wanted one pair in blue, size 3 without the heel which you had, the other was the white ones with the heel but you didn't have size 3 in store. The lady was very helpful in managing to order the white ones into the store for me and enabling me to still have the offer even though the white ones were not available to purchase at the same time. Excellent customer service and saved me time and money of not having to come back another day to see if you had the size I wanted.